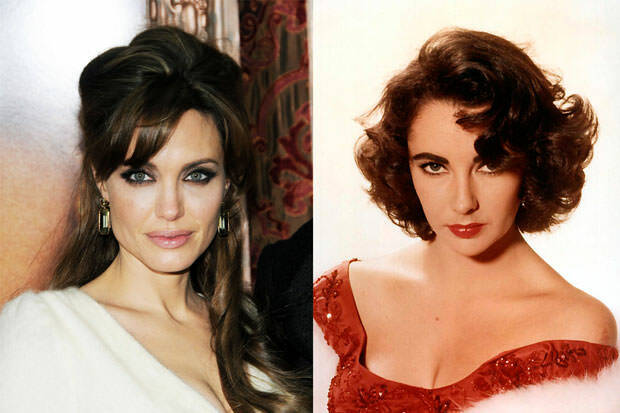 Some might cringe at the comparison of these two stars, but that’s only because Elizabeth Taylor is such a legend that no one seems adequate enough to be compared to her, not even the mighty Angelina Jolie. But if you think about it for a second, you’ll see that there is something there. First of all, look at their relationships. Jolie and Brad Pitt are the ultimate Hollywood couple right now, but decades before them there were Elizabeth Taylor and Richard Burton, who married and divorced twice and established the concept of the power couple. Both actresses are known for their verve, confidence and glamour, a bit of controversy here and there to spice things up, and an aura of danger and mystery about them. Like Taylor once was, Jolie is a courageous and restless humanitarian today, and also a devoted mother of a whole bunch of kids.